Rajesh Singh cannot believe his luck. The 37-year-old finance manager has just won the biggest prize money ever heard of in the realm of regional television. "It still hasn't sunk in, it seems true only when people come up to me and say it out loud, several times over," the genial Crorepati says over the phone. 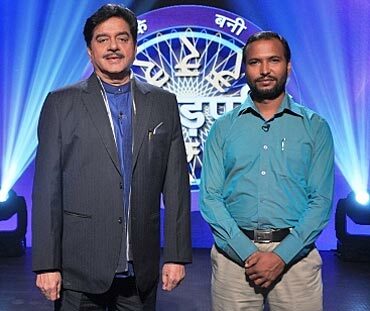 Singh appeared on Mahuaa TV's Ke Bani Crorepati and created history by becoming the first contestant ever to answer all questions and walk home with the prize. An Ahmedabad resident, Singh hails from Kushinagar district of Uttar Pradesh and moved to Gujarat for better job prospects. "My father is a farmer and he wanted me to follow in his footsteps. But I wanted to get an education and a job. I was decent in studies and wanted to go for IIT but couldn't due to financial constraints," he says. Recounting his KBC experience he says, "It began with the routine hotline questions that I answered and was later called for an audition in Benaras. That went pretty well too and I was even told that my video was better than many others. So I had a good feeling about this whole thing." But it's not just dumb luck. Singh, who works as a finance manager is a voracious reader, writes for 17 blogs and is a keen learner. He recounts an incident that played a part in his big win: "Before this, I'd tried my luck in Kaun Banega Crorepati that's hosted by Amitabh Bachchan. I managed to win Rs 6 lakh but the next question stumped me as it was regarding IPL (Indian Premiere League) and I hadn't cared to know much about it. That's when I realised that you can't ignore anything, even if something doesn't suit your liking or temperament. You may not want to pursue it but you have to know about it." We finally come to the hot seat when Singh recounts the whole experience. He fondly remembers his interaction with Shatrughan Sinha, the host of the show. "Shatrughanji is just like me -- he's very emotional and got misty-eyed when I answered the last question correctly. He also tried to keep the whole thing lively with banter and jokes," Singh says. Like many others who come from a similar milieu, Singh has strived to achieve the great North Indian dream -- making the most out of what life and a better worldview have to offer. In his case, it means being in a job that's growth-oriented, securing a better future for his children, building the dream home and doing his bit for the society. But what sets him apart from other aspirational middle class migrants is his attitude. "We should never think negatively because any dream can come true. All of us get chances in life, it's really important that we identify them and make the most out if them. Hope is very important for survival," he asserts. And his positive attitude has literally paid off. With the prize money, that he's about to receive in a couple of days, Singh wants to clear his debts, ensure the best possible education for his kids so they don't have to struggle like he had to, build the dream home for his family and counsel underprivileged kids in terms of career choices and opportunities. Instant stardom, of course, is a part of the deal. Not just his family but the entire district has joined him in celebrating his momentous win. "There are people I don't even know who've looked me up and called me to congratulate," he says. He is admittedly happier too. With almost all his financial liabilities taken care of, he just wants to unwind, take things easy and savour the little pleasures in life. He also intends to cultivate some hobbies, something he'd always wanted to do but never had the time for in the past. 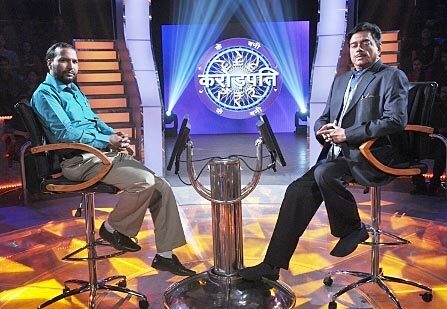 As far as his Ke Bani Crorepati connection is concerned, his two-year-old toddler happens to be the most keen audience as he persistently reminds them each time the show is on with, 'pati lagao' (put on Ke Bani Crorepati) and even imitates the host's repeated query 'lagain thhappa?' (the Bhojpuri show's equivalent of lock kiya jaaye?) with aplomb.